YouTube has a lot of potentials to attract traffic and increase your website visibility. More than 100 hours of videos are uploaded to YouTube in every minute. Therefore, YouTube provides a great potential for users to become famous or go viral. 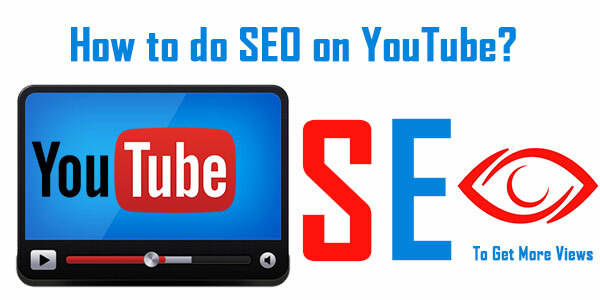 However, since there are so many videos uploaded on YouTube, it is important to optimize your videos for SEO so that it can increase traffic compared to your competitors. There are millions of accounts on YouTube and its algorithm is also unique. There are some important signals that decide whether a video has the potential to become trending or not. Some key signals include Title Tag information, Video length, tags, keywords used in the video description tag, comments, likes/dislikes, audience retention and a number of subscribers watching. Let us look at the ways by which you can get more traffic on your videos and ultimately popularize your website. Video descriptions are an important area which should be optimized in such a manner that it increases your viewership. With the help of YouTube videos, you can popularize your website. All you need to do is provide a detailed description of your video which consists of long word count. Long descriptions help increase the ranking of your videos and it is considered to be the topmost SEO strategy on YouTube. Another essential thing to provide is to ensure that you use keywords in your Video description so that it gets a good ranking in search engines. Certain specific popular keywords in your video description can increase its Search engine ranking. It helps your video to be available on the first page of Google or other popular search engines. Before deciding a keyword for your YouTube video, you need to check the video results section on the first page and strongly consider a keyword which is ranked higher in Google. Online communities provide a great place to get more traffic to your video. If you start sharing your videos in the communities then you will get more likes and viewership. Therefore, your video will also get a better ranking factor and can work wonders. YouTube pays a lot of stress on usage of backlinks. Therefore, a video post can easily become viral or trend if it is liked, shared and subscribed by more people. Subscribing and liking can create the best user experience signals on YouTube and popularize a video. When someone likes your video after watching it until the end then it will send a strong signal to YouTube algorithm which will make the video more popular and trending. Likes may be less important but also count a lot. Giving a strong signal to subscribe, like and share can create the necessary backlinks to your video. Creating more engaging YouTube channel is the easiest way to increase more traffic. You can mention keyword rich playlist in your channel with more keyword oriented description, text-based content and views. Are you looking to increase your website video on YouTube or any other social media platform? Choose the best SEO Melbourne by taking services from Platinum SEO.